Size:18.9*9*4.8CM. It cannnot be rusting and colour fading. It's made by hand with Soft and comfortable high quality PU and Similarity to leather performance. 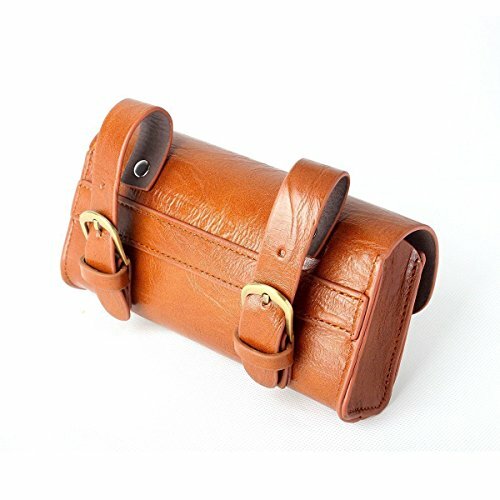 Vintage Classic Style Bicycle Tail Bag. A Classic Look and all the features you could ever want. About Shipping: We shipped all items by USPS. You can use the tracking number at any time in the USPS official website tracking. If you have any questions about this product by AUKMONT, contact us by completing and submitting the form below. If you are looking for a specif part number, please include it with your message.